It is with great sorrow we announce the passing of John (Vic) Victor Forsyth on April 5, 2019 at the Selkirk General Hospital. Surrounded by his loving family he went peacefully into the arms of the Lord. Vic leaves behind his loving wife Yolanda, his children Viki (Henry), David (Nicole), Bruce (Tara), Bryan, Ian (Prescilla), 15 grandchildren and 14 great grandchildren. Vic will be greatly missed by his adoring sisters Joy, Gayle (Loch), and Susan (Wayne), sisters-in-law Phyllis, Jeannette (Jack), Helen (Frank), and Gail, brothers-in-law Maurice (Nancy), and Francois, many nieces, nephews, cousins and friends. 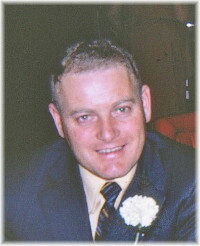 He was predeceased by his parents Jack and Iris, brother Bruce, nephew Wayne, son Keith and grandsons Matthew and Chad; also in-laws Archie and Caroline, Dennis, Leonard, Pat and Marguerite. 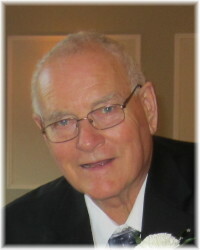 Vic was born in Winnipeg on May 24, 1934 and attended schools in Anola, Dugald and Winnipeg. He began his career in the Automotive Industry at the age of 17. Shortly thereafter he met the love of his life Yolanda in Eriksdale, MB. Vic and Yolanda were married December 27, 1954 and promptly moved to Madsen, ON where he was employed with Madsen Red Lake Gold Mines. In 1957 they returned to Winnipeg to open Red Rose Service Stations on Scotland and later Regent Avenue. He was also employed with General Auto Parts, Penner Dodge, and Imperial Oil, selling T.B.A. Products. In 1972 he was proud to open his new business Topline Auto Supply, which is still going strong today. In 1990 he and Yolanda took an early retirement and settled in Lac du Bonnet, where he spent many happy hours cutting grass on his beloved John Deere, riding his ATV and tilling his MANY gardens. He loved hunting, fishing and snowmobiling. For many years he enjoyed camping with family and friends. One of his favourite pastimes was teaching his children and others to waterski. His patience was limitless, as he dragged many a young skier around the lake. He taught his sons how to hunt safely, and so enjoyed being out in the field with his boys. He was proud to be a Fourth-Degree member of the Knights of Columbus and hosted many fundraisers for them and socials for family and friends. He so loved to entertain, tease and play practical jokes, even up to a few hours before his passing. FAMILY was his life and he worked tirelessly to provide for us; always finding a way to make that extra dollar for a special event. He took great pride in making his unique gift items and spent many weekends at various Farmers Markets. In fact, he actually gave away more than he sold! He loved music, dancing and a good party. Everyone loved his infectious laugh! He also enjoyed cooking and serving gourmet food. His children will never forget the many trips to Eaton’s gourmet section, where they acquired their love for seaweed, stinky cheese, smoked oysters and black licorice. The family wishes to thank the staff at both Beausejour and Selkirk Hospitals for the care and compassion given to both he and the family. A Funeral Mass will be held on Saturday, April 27 at 1:00 p.m. at St. Mary Roman Catholic Church, 530 Atlantic Avenue, Beausejour, MB. In lieu of flowers, donations can be made to the Bruce Oake Recovery Centre, Box 61084, Grant Park, Winnipeg: info@bruceoakerecoverycentre.ca. We are very sorry for the passing of Vic. He was a kind man and loved his family. Our thoughts and prayers are with all the family at this difficult time. May God bless you and comfort you. Thank you so much Joyce and Don. I know I will remember the “ good times” at the Farmer’s Market. When I stopped at his table he always had something to say to put a smile on my face whether it was a joke or just a comment. My prayers are are with you at this time of sorrow. I am so sorry to hear of Vic’s passing. I enjoyed talking to you & Vic, Yolanda. My thoughts are with you. I still can’t believe my uncle & loving Godfather is gone. I will miss him so much. I’ll never forget him teaching me how to drive a motor boat when I was young, & also teaching me to drive/ride a ski doo “the hopper” as he called it. Those memories will be with me forever. Even though years would go by between visits, he made us feel so loved when we saw him! We know he’s watching over all of his family and friends. God bless and we love you Vic! So sorry to learn of Vic’s passing. He was a gentle and gracious man with a terrific sense of humour. Our sincerest condolences to the Forsyth family. We are truly sorry to hear of Vic’s passing – another great BS’er graduates! We have fond memories of Vic and Yo at many BS parties and KC events, and especially when we left Transcona in 1975, with a copy of Yolanda’s poem about our time there safely tucked away – we still enjoy it!